Researcher and urban planner Zonke Mkhomazi discusses the history and future of transport in South Africa. While being unexpectedly cut off by a speeding minibus taxi in traffic may feel like a uniquely South African experience, our informal modes of public transportation actually mirror numerous other paratransit systems (transportation services supplementary to fixed-route bus and rail systems) around the world. There are the Matatus of Kenya, the Daladalas of Tanzania, and the Trotros of Ghana. You even see it in Eurasian countries, particularly in post-Soviet states, including Armenia and Georgia, where they refer to them as Marshrutkas. We caught up with Zonke Mkhomazi, an urban planner with a background in Landscape Architecture and a Master’s degree in Development Planning from the University of the Witwatersrand, to find out more about how the system arose and how best it could be reformed. An Urban and Regional Planning PhD candidate from the joint programme between WITS and the Technische Universität Berlin (TUB), her work is focused on the integration of the paratransit system into the formal Bus Rapid Transit (BRT) road network within cities of the south. 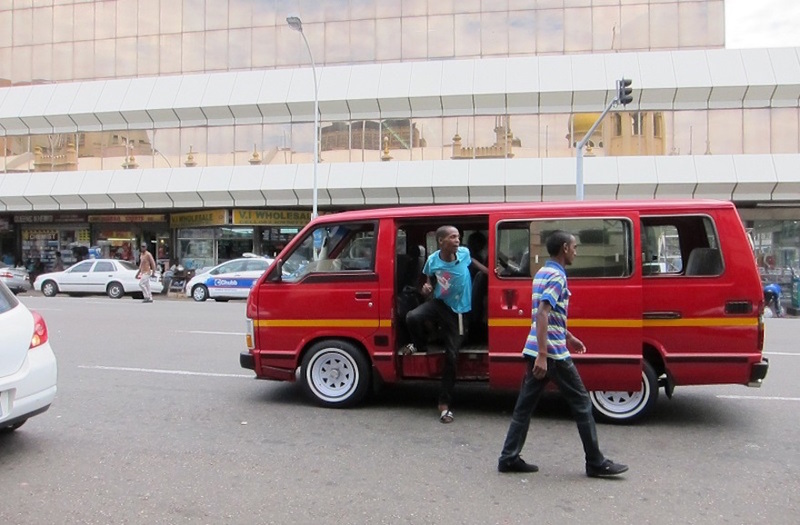 An integral component of transport in African cities, the South African minibus taxi industry was born from unique historical circumstances, she tells us; emerging as a result of the design of apartheid-era cities – which moved black and coloured people to the outskirts of most major cities– the taxi industry sought to fill the gap left by already established transport systems which did not cater for the needs of citizens of colour. Despite government criminalisation of the practises used by minibus taxis, all of these factors resulted in an unexpected boom for the industry. 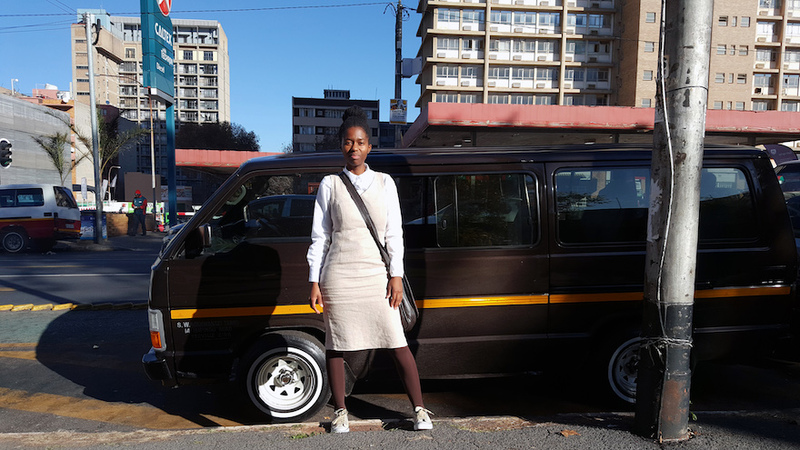 Much of the reason for this, according to Mkhomazi, has been the minibus taxi industry’s rapid responsiveness to the emergence of Polycentric cities. Defined as a metropolitan in an urban area that is organised around multiple cities, the government’s response to these emerging spaces and their transport needs has been comparatively slow and insufficient. "The strength of the taxi industry is that they provide rapidly-responsive, flexible and competitive transport services. Whilst the state has been slow in rolling out transport infrastructure to meet the demands of the dynamic city the taxi industry has jumped at the opportunity to meet commuter needs." In this way, the minibus taxi system could be viewed as having designed itself. Faced with the Road Transportation Act of 1977, the industry quickly formed the South African Black Taxi Association as a means of protecting themselves and lobbying the government. They have since determined their own routes and their own methods of operation based on one important factor: meeting the needs of their passengers. Still, Mkhomazi is appreciative of the government’s attempts at reform. The Integrated Rapid Public Transport Network Plan – a plan that she says was catalyzed by the 2010 World Cup – has been implemented in nearly all the metros in the country. Recognising the taxi industry as a vital mode of public transport modes that form part of a larger network, it seeks to incorporate the taxis into providing feeder services for the larger bus and train systems. Emerging tech is even being considered for inclusion, with the practise of e-hailing being placed on the table for discussion. What Mkhomazi does lament is the exclusion of the owners of these taxis from the actual development of these plans. “A lot of it has been tokenism,” she says. Involved to a degree in some of the negotiations that took place between government officials and taxi owners in the Ekurhuleni municipality, she’s critical of the tendency of officials to minimise the input of those they are actually working for. Ultimately, Mkhomazi is adamant that a change needs to be made in the way those with power think of and approach the continued development of South African cities. The minibus taxi industry, she says, is here to stay, and will continue to provide a service wherever the demand arises. No amount of criminalisation will hinder it, and its flexibility will ensure it remains a highly popular means of getting around. Urban designers and architects have a significant role in enabling the fluidity of commuters within the city. Mkhomazi was selected as 1 of 10 scholars to participate in the Norman Foster Foundation Workshop: On Cities. The workshop, taking place in Madrid from the 18 to 22 June, 2018, explores how new innovations can reduce the resources consumed by cities while simultaneously creating more livable, entrepreneurial communities. She will also be attending The Marshrakruta Summer School Project - a research programme based on informal transport in EuroAsian cities organised by Leipzig University, Germany - taking place in Georgia from the 25 to 30 June 2018.